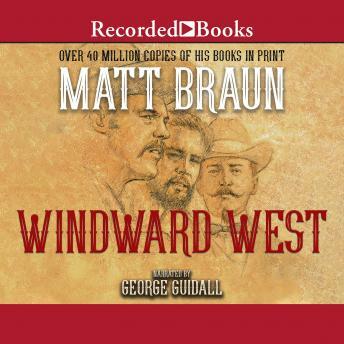 Matt Braun, winner of the prestigious Spur Award, is the recipient of the Wister Award for Lifetime Achievement in Western Literature. The novels of this fourth generation Westerner are infused with the tradition and lore of the wild frontier. The Brannock brothers have very different dreams for their lives in the wide-open spaces of the American Southwest. Virgil is a railroad man; Clint is in the Calvary; and Earl has settled in with the Comanches. Their paths cross in a fatal gun-battle that puts their code of honor to the test.